A sportsperson’s favourite, Wintergreen oil brings quick and cooling relief to an overworked body. Use sparingly, this is a powerful oil. Wintergreen is a great choice in muscle and joint rubs to quickly cool and ease aches, swelling, strains and sports injuries. It aids circulation and recovery, and can provide quick temporary relief for back, joint and muscle discomfort including sciatica, and arthritic or rheumatic conditions. The crisp fresh scent of Wintergreen has an invigorating and clearing effect on the mind and body. Wintergreen works a treat in my balm for my fibromyalgia and rubbing on the sciatica area calming the welling and soreness. Jill D. Reviewed by Jill D.
Once again, excellent quality product, and fast efficient service, couldn't ask for more. Wintergreen essential oil is great. 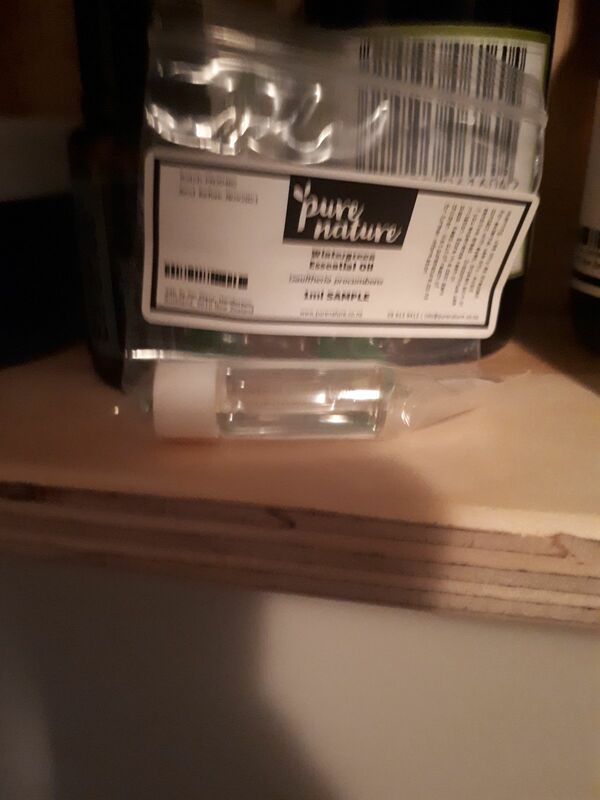 Exactly what I needed to make my pain-rub oil.